Heat Shrink technical information (.doc format). Manufacturers technical document for UTS Souriau connectors. 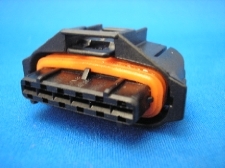 Jump Start Connector Technical Information Documents. Mate ''N'' Lock Connectors Technical Information Document. Multilock 040 and 070 Series Technical Information Documents. 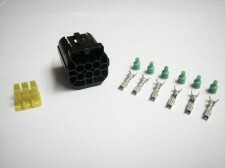 SuperSeal 1.5mm Series Connectors Technical Information. We don't have all the range but can obtain most items - please ask for a quotation if it isn't one of our stock items or you require a larger quantity. Crimping Neptune Terminals - for those who are only doing a one-off small repair - this is inteneded as a guide to assist. 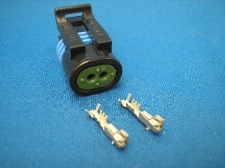 Although not the designated tool for the Neptune range, it is possible to effect a satisfacory crimp with the generic tool for non-insulated terminals. Sure Seal Manufacturers Technical Information Document. Crimping Junior Power Timer Terminals with TOL-001. Many people ask what wire thickness they should buy - please see this general guide which is by no means exhaustive but is provided to help and kept brief for your convenience. There are various ways of expressing a wire thickness or weight around the world. In Europe we generally express it as square millimeters of the cross-sectional area of the conducter. Another common system is AWG (American Wire Gauge) - in this system the numbers get smaller as the wire gets heavier and vice versa. Raychem wire is usually sold under the AWG system. There isn't always a direct match between the AWG and the square millimeters sizes but we have shown closest matches in the guide. The automotive standard thin wall PVC insulated wire is what our main wire range consists of. We also have specialist wires such as screened cables, coiled cables etc. We don't stock rubber insulated cables at Simtek but we can obtain them by the roll on special order. This guide is intended as a general guide only and it is the responsibility of the user to check if the guide is appropriate and correct for their specific application. This is a PDF - you will need Acrobat or a similar PDF reader to view this.